The School District Board meets in the Townshend Elementary School, the second Monday of a given month at 6:30 PM. Elected Officials. Townshend’s School District Board has five members. Three of these are elected for three years, with one position being elected every year. Two positions are one year terms. Under normal circumstances, three members will be elected every year. If a member resigns or passes away while in office, the School Board may appoint someone to fill the position or call a Special School District Meeting for an election. If a three year position becomes vacant and there is more than a year left in the term, the School Board may only appoint an individual until the next School District Meeting where the voters will vote for an individual to fill the remainder of the term. If a Special School District Meeting is called then the voters will, at that time, vote for an individual to fill the remainder of the term. The Townshend School District also has three representatives on the Leland and Gray Union District Board (Union District #34). The number of representatives is determined by the number of students that attend from a given Town. These terms are for three years but are not staggered. If a Leland and Gray Board Representative resigns or passes away while in office, the School Board may appoint someone to fill the position or call a Special School District Meeting for an election. If there is more than a year left to that term, then the School Board may only appoint an individual until the next regular School District Meeting. If a special meeting is held the voters will vote to fill the remainder of the term. The Townshend School District Board and the Leland and Gray Board will cease to exist in 2019 due to school consolidation. A website has been created for the new unified district which will take over the responsibility for all the local schools on July 1, 2019. It is located here. Technically, the Townshend School District Board is not a part of the Town of Townshend. The Townshend School District and The Town of Townshend are two completely separate legal entities though some things do overlap. For example, the voters are the same but it is Townshend that registers those voters. The Annual Meeting for both entities is held the same day in the Townshend Town Hall though they are conducted as two separate meetings. Taxes for both are collected by The Town of Townshend but all appropriate taxes raised are turned over to The Townshend School District (or Leland and Gray) within twenty days of collection. 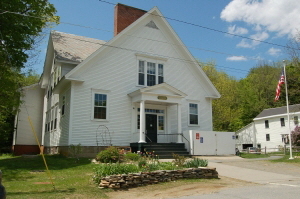 The Townshend School District is a member of the Windham Central Supervisory Union as are numerous other school districts in the area. The supervisory union employees a superintendent who serves as CEO as well as a financial officer, special education related individuals, and a variety of other professionals who assist all the schools within WCSU. In addition the Townshend Elementary School has a full time principal and administrative assistant. Unlike the Townshend Municipal Government, there are a very large number of employees who support the Townshend School Board in all ways. The Vermont School Boards Association has a brief of the “Role of the School Board” here, But, like it or not, the actual “control” that a board has over the day to day operation is limited by legislation, be it Federal or State. They, in conjunction with WCSU and the principal of the school, develop a budget for the coming year, just like the Select Board does for the Town of Townshend. That budget is presented to the voters who may pass it, reject it, or amend it at the annual meeting. However, the State sets the tax rate based on a complicated formula. There are two education tax rates, one for residents and the other for non residents. There are what are known as “prebates” issued to resident property tax payers to off set education property taxes. These prebates are based on income. The school tax bill will include expenses for the elementary school, Townshend’s portion of the expenses for the Leland and Gray Union Middle / High School, and a prorated amount for WCSU. Townshend’s students, by contract, with a few exceptions, must attend Leland and Gray when they reach seventh grade although, in high school and depending on the chosen path, they may also attend the Windham Regional Career Center in Brattleboro.